References to the processing of information includes the collection, use, storage and protection of data. Lubavitch of Edgware is the ‘data controller’ for the purposes of this policy, and the policy extends to its staff, volunteers and anyone else processing data on our behalf from time to time. There is a legal obligation on Lubavitch of Edgware to process data. Where Lubavitch of Edgware is relying on solely consent as the basis for processing data, we are required to obtain your explicit consent and you can modify or withdraw this consent at any time by notifying us in writing, although this may affect the extent to which Lubavitch of Edgware is able to provide services to or interact with you in future. Lubavitch of Edgware may change this policy from time to time and any such changes will be published on our website. Notwithstanding any change to this policy, we will continue to process your personal data in accordance with your rights and our obligations in law. Such other information as is relevant and necessary for Lubavitch of Edgware to carry out its activities, charitable purposes and legal obligations to beneficiaries, staff and others. You may choose to restrict the collection or use of your personal information, but this may inhibit or limit the way in which Lubavitch of Edgware is able to interact with you. You may, at any time, change your mind about what information we hold about you, or if we continue to hold it at all, subject to any legal obligation on Lubavitch of Edgware to retain data. 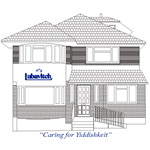 You are responsible for the accuracy of data you have provided to Lubavitch of Edgware. If you believe that any information we are holding on you is incorrect or incomplete, please write to us as soon as possible. We will promptly correct any information found to be incorrect. We are committed to ensuring that your information is secure. In order to prevent unauthorised access or disclosure,we have put in place suitable physical, electronic and managerial procedures to safeguard and secure the data we process. Persons processing data on behalf of Lubavitch of Edgware do so in accordance with this policy and on the basis that Lubavitch of Edgware is satisfied that they can and will adhere to our high standards for data protection and security.